After a whirlwind crazy adventure the past couple of days, I’m home this Friday and it’s back to the normal day-to-day life. Work, kids, work, the usual! 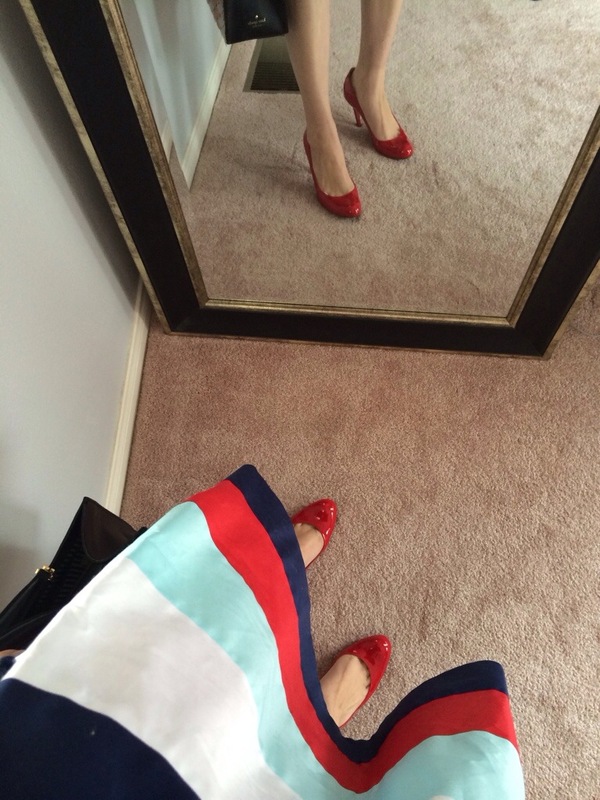 But I decided today to pull out my newest Kate Spade dress and enjoy pretending to be on a jet plane headed somewhere fabulous! Hmm, perhaps I have a wee but of a Kate Spade problem!! 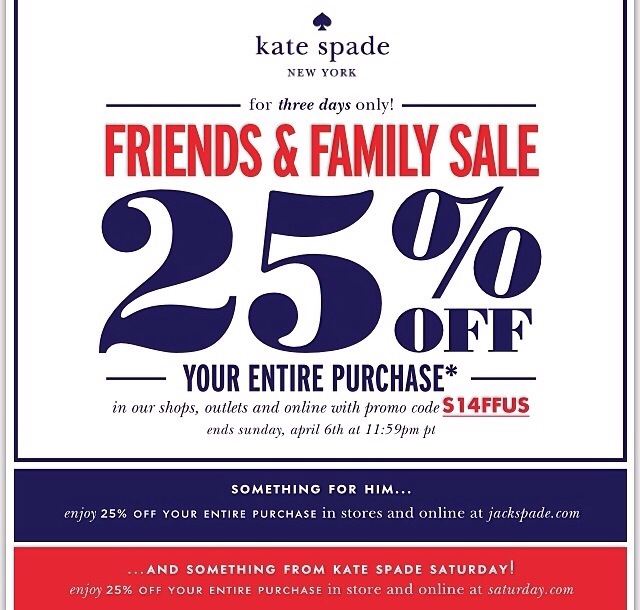 Of course I can help you with yours, it’s Friends & Family this weekend at Kate Spade! You can even call your favorite store and place a charge send, it’s a $5 shipping fee. For those such as myself, that’s is very dangerous! Makes shopping too easy!! 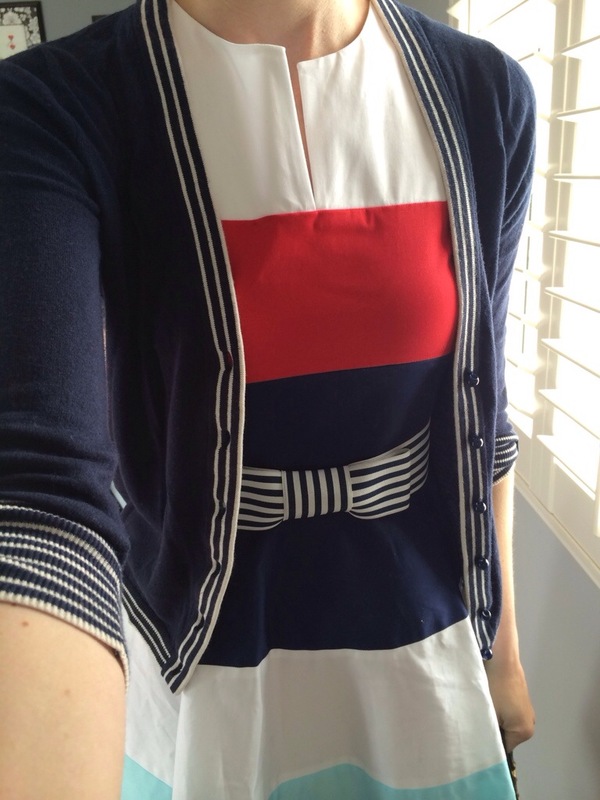 This entry was posted on April 4, 2014 by katespadegirl. 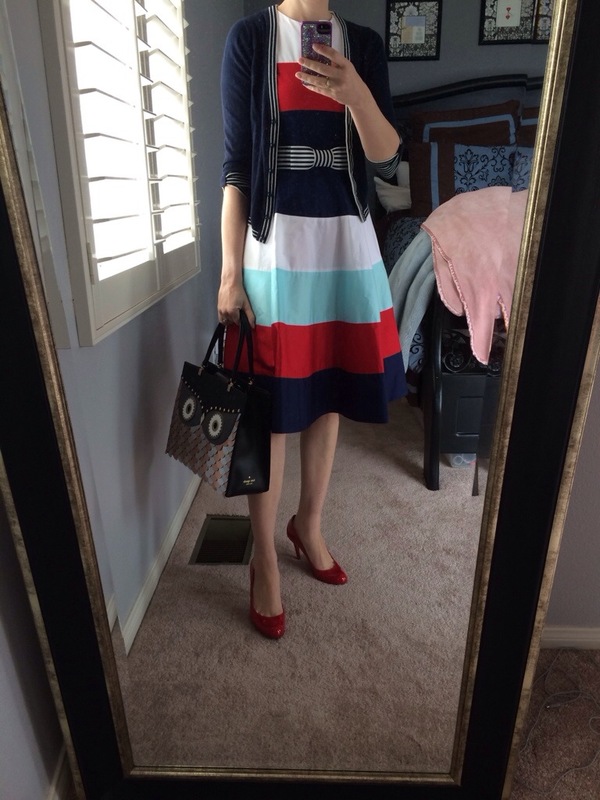 It was filed under Outfit of the Day and was tagged with corely dress, Kate Spade, sale, stripes. 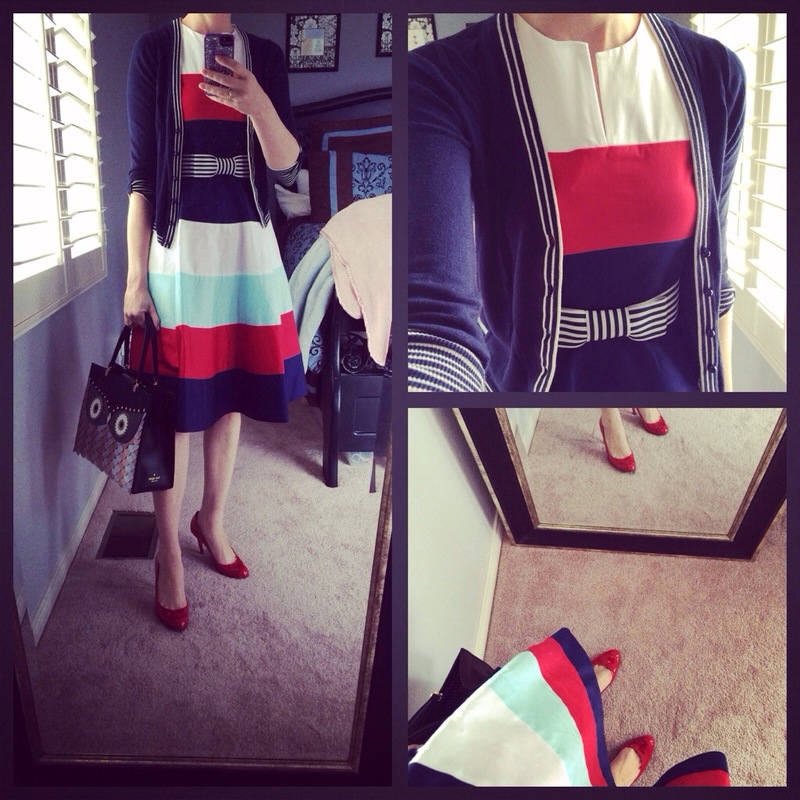 I wrote about the friends and family sale too on my blog…funny. omg that purse is the cutest thing ever!